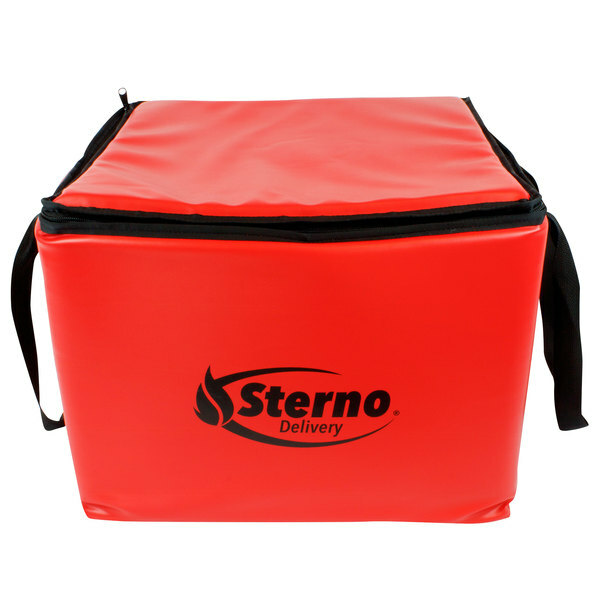 Easily and efficiently transport food to offsite locations with this Sterno Products 70500 18 1/2" x 18 1/2" x 12 1/2" small all-purpose insulated food carrier! 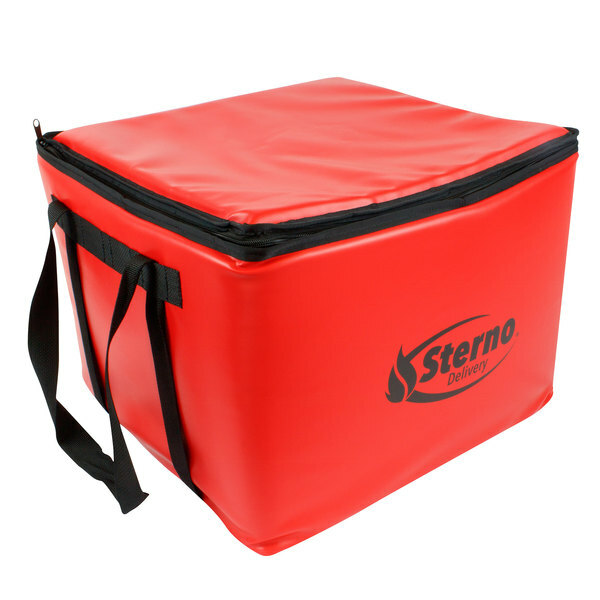 This insulated food carrier is designed to hold two 16" dome trays filled with sandwiches, meat and cheese, fresh fruit, fresh vegetables, and your finest pastries and desserts. The antimicrobial liner features a seamless design to prevent liquids from seeping through while facilitating quick cleanup. 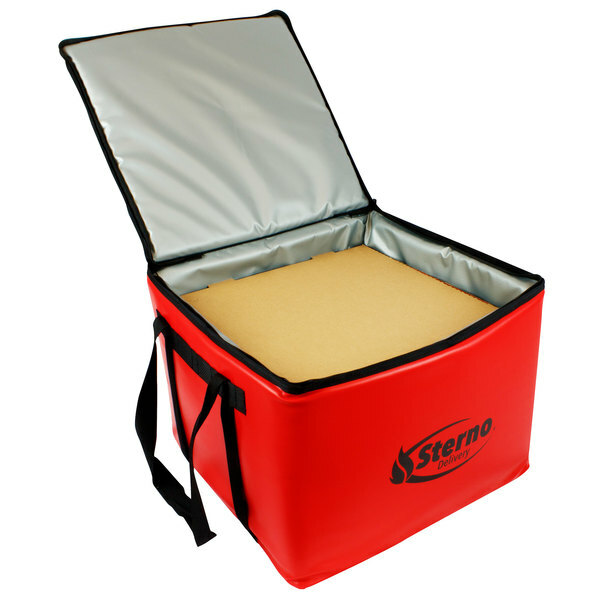 You can rest assured that this carrier won't harbor bacteria, mold, or odors.